Written for Daily Hive by Brennan Fitzgerald, Executive Director of the Hastings Crossing Business Improvement Association. In the recent Globe and Mail article, “What I saw in a day on the Downtown Eastside shocked me,” Marcus Gee’s description of his visit to the Downtown Eastside is certainly a common narrative we hear from many visitors to this unique part of our city. He isn’t wrong with regards to what can be witnessed when walking down our streets and alleyways. He’s not wrong that governments have failed to adequately address the complex challenges that exist here nor provide for the most basic needs of some of our country’s most vulnerable citizens. And he’s not wrong that the situation is unacceptable. But allow us to showcase what else you will see and do on any given day in the Downtown Eastside once you open your eyes and heart a little wider. You’ll see a neighbourhood filled with people from all walks of life. You’ll see teams from Mission Possible, a social enterprise transforming lives through meaningful work, keeping our streets clean and safe. Around every corner you’ll discover murals and public art that tell stories of the community. You might take in one of a number of events and festivals going on, such as the Eastside Culture Crawl or Heart of the City Festival. You can enjoy award winning chocolate at East Van Roasters, a social enterprise that employs and empowers women re-entering the workforce. You’ll have a great lunch at the renowned Ovaltine Cafe, which was just identified as one of the world’s top 50 cafés for its “noirish, Edward Hopper” charm. To end the day, relax at Skwachàys Lodge, an innovative Indigenous art hotel and gallery. You’ll see a place with more than its fair share of bumps and bruises, but you’ll also catch a glimpse of what makes this community strong, vibrant, and dynamic. 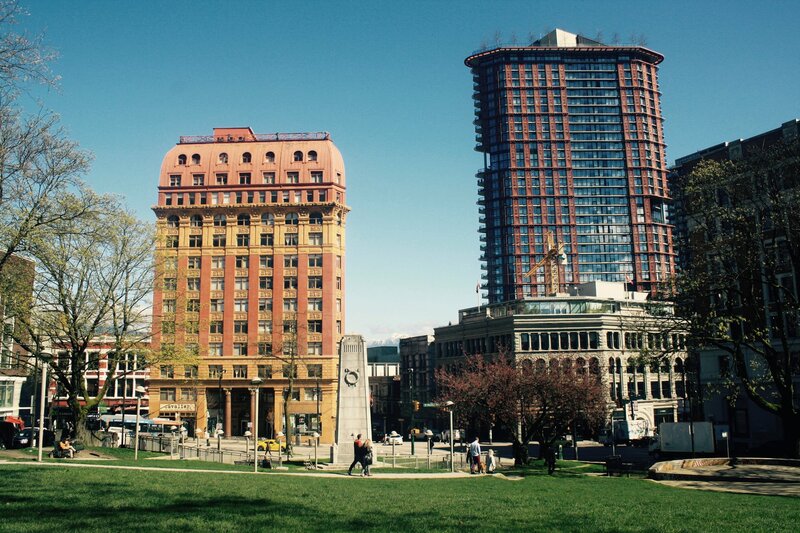 If we’re going to be honest about the Downtown Eastside, we also have to be real. We can talk about the innovation, compassion, energy, and culture this community holds without minimizing the complexity of the challenges that exist here or the need for action from all levels of government. There’s more here than what might first meet the eye. We don’t presume to speak on behalf of the Downtown Eastside community as a whole, but as a collaboration of hundreds of businesses and organizations in this area, we are glad to offer our story for the consideration of all visitors to our neighbourhood. So if you’re interested in being surrounded by a community rich with diversity, culture, innovation, and excitement, we invite you to come for a visit. Take in a festival; check out our unique businesses and social enterprises; meet new friends; volunteer. Discover the area and all it has to offer for yourself. Yes, what you might see in the Downtown Eastside may shock or surprise you, but keep an open mind and you’ll be surprised in more ways than one.